It's back to school season! You may be thinking, "What does Bates have to do with my kids going back to school?" But in fact, there is a rich history of children and students in Bates' past. We round up five of the most interesting stories and designs from our past in the post below. Back in the 1950s, the Bates Manufacturing Company's Sales & Marketing Team was based in New York City. At that time, they were trying to figure out how to enter the lucrative and quickly growing market of college students. In mid-century America, young men and women who went off to college tended to stay in dorms for the four years that they attended the school. Many students often came from well-to-do families that could afford top of the line bedding collections that would last the four years while their children attended college - a perfect opportunity for Bates. Source: Bangor Daily News, Originally featured in Vogue & Harper's Bazaar. Among collectors, some of the most sought after antique linens baring the Bates name today are the pictorial bedspread designs for children's bedrooms. 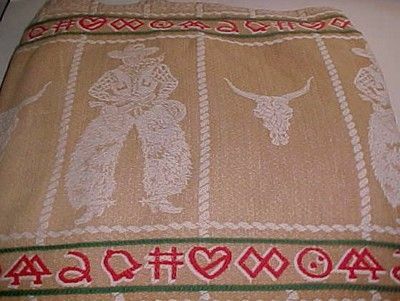 The designs included many different themes from cartoon characters to trains and cowboys. Through Bates' long history dating back to the 1850s, the company saw several wars during which it shifted to war-time production along with its fellow American manufacturers. The Civil War was one of these times that Bates shifted to focusing on the production for the Union Army. These are just a few of the student stories from Bates' rich history dating back more than a century. Have a story of your own? Please share in the comments!